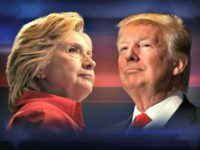 Both Democrat Hillary R. Clinton and Republican Donald J. Trump have 40 percent of the vote in the race for Colorado’s nine electoral votes, according to the Breitbart/Gravis poll conducted Nov. 1 and Nov. 2 with 1,125 registered voters in the state. 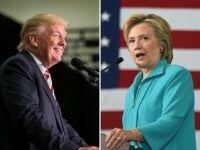 Former first lady Hillary R. Clinton leads her GOP rival Donald J. Trump in North Carolina with 49 percent of respondents compared to his 47 percent, according to the Breitbart/Gravis poll conducted Oct. 25 and Oct. 26 with 1,273 registered voters, a margin inside the poll’s margin of error. 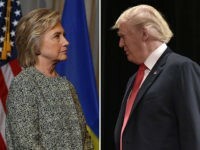 The former first lady and Democratic nominee for president leads her GOP rival Donald J. Trump with 44 percent of the vote to Trump’s 39 percent in the fight for Colorado’s nine electoral votes, according to the Breitbart/Gravis poll conducted Oct. 12 and Oct. 13 with 1,226 registered Colorado voters. 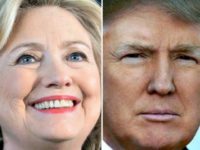 Oregon voters support Democratic nominee for president Hillary R. Clinton over her GOP rival Donald J. Trump, 47 percent to his 39 percent, according to the Oct. 4 Breitbart/Gravis poll of 1,248 registered voters. 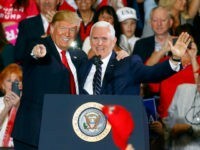 Wisconsin and its 10 electoral votes are within reach of Republican Donald J. Trump as he climbs to a virtual tie with Democrat Hillary Rodham Clinton in the Badger State in the latest Breitbart News Network/Gravis Marketing survey. 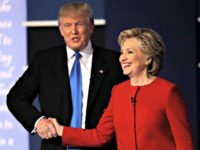 Three Breitbart/Gravis state polls of likely voters — Minnesota, Pennsylvania, and North Carolina — demonstrate how close the presidential election between Democrat Hillary R. Clinton and her GOP rival Donald J. Trump has become just before the first presidential debate. A majority of Americans are worrying more about terrorism and are blaming President Barack Obama for their heightened sense of danger, Democratic pollster Patrick Caddell said after analyzing the results of the latest Breitbart/Gravis National Security poll. 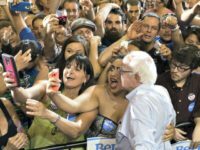 “Fifty-six percent of respondents told us that America is weaker today than a decade ago, when we had 200,000 troops in fighting in Iraq and another 50,000 in Afghanistan,” said Doug Kaplan, the managing partner of Gravis Marketing, the Florida-based polling firm that executed the poll. 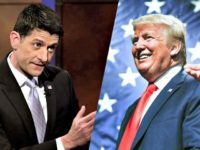 The poll carries a 2 percent margin of error with a 95 percent level of confidence. 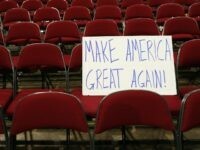 Half of America has lost faith in the ability of CNN to provide objective news and analysis, according to the latest national poll from Breitbart News Network and Gravis Marketing. 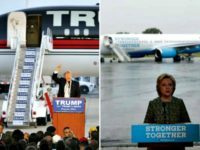 The 2016 presidential race has tightened into a statistical tie between Democratic Hillary Rodham Clinton at 42 percent and Republican Donald J. Trump at 41 percent, in the latest Breitbart News Network/Gravis Marketing poll of 1,493 likely voters. 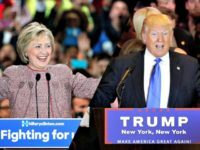 That puts the negligible one percent difference between Trump and Clinton well below the poll’s margin of error of 2.5 percent, meaning this is a tie ball game heading into the home stretch of the election. 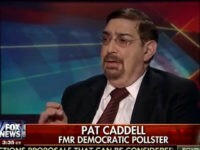 Pioneering political pollster Pat Caddell told Breitbart News that the Breitbart/Gravis poll on immigration confirms that Americans have real concerns about immigration, even Democrats, going into the last 100 days of the presidential election. 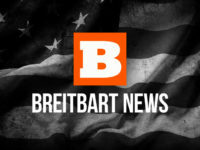 Breitbart News Network announced Sunday it is launching a new partnership with Gravis Marketing — the Florida-based polling firm recognized July 1 by Bloomberg Politics as the most accurate for the 2016 primary season — to create the Breitbart/Gravis poll series.